Concurrent with my receipt of the amplifier up for review here, Linear Tube Audio’s (LTA) ZOTL 10 Mk.II, came another welcome piece of news: the well-regarded German jazz/classical label ECM had decided to release its entire catalog for streaming via Tidal and other services. Most audiophile types are well aware of this label, especially for its collection of albums by interesting European and American jazz artists, all rendered in superbly recorded sound. It’s one of my favorite jazz labels, going back to my time as a teenager when my brothers and I would collect all of the early Pat Metheny ECM vinyl we could find. I find it somewhat propitious that both of these events should coincide with one another, as the LTA ZOTL 10 Mk.II puts me in mind of that lovely ECM sound that I have enjoyed for many years. Anyone who has heard an ECM album knows what I mean, as the recorded sound has an immediately distinguishable character, thanks in part to its longstanding producer, Manfred Eicher. Many of us value the ECM sound as alive, up-front, detailed, realistic, airy, and maybe just a bit dry at times, but always enjoyable and eminently engaging. To wit: a piano on an ECM recording sounds a lot like a real piano, and that’s no small achievement. If you need to check for yourself, go listen to some Keith Jarrett or Bobo Stenson as recorded on the label. Well, to say that the combination of streaming ECM and the arrival of the new LTA amp has had me happier than a pig in mud may be the greatest understatement of the year. I mean, this is great stuff all around and something to rejoice. 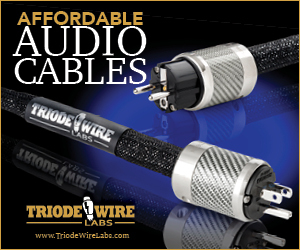 Like the ECM label, I’m also wagering that most of us are familiar with Linear Tube Audio (or LTA for short). 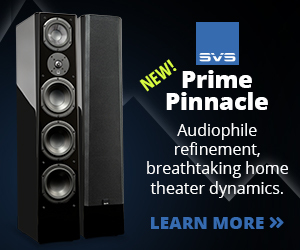 This statement may not have been true even a couple of years ago, but as of late, these guys have definitely joined the audiophile hit parade… And for good reason. 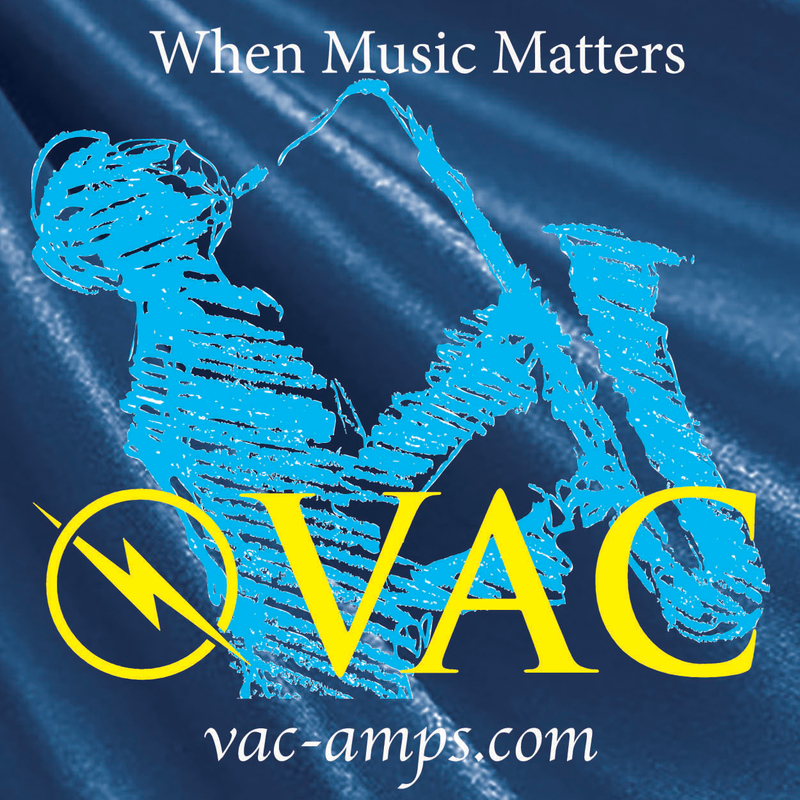 As a quick reminder, LTA licenses vacuum tube circuit designs from the well-known amp designer David Berning. 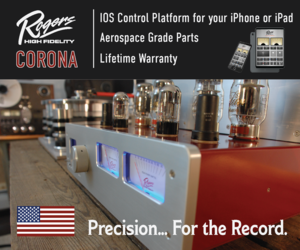 LTA works directly with Mr. Berning to design and build unique amplifiers in-house in their Washington DC workshop and then sells them directly to lucky folks like you and me for fair prices. Since Mr. Berning is best known for his innovative zero-hysteresis output transformer-less (ZOTL) vacuum tube amplifier designs, this is where LTA focuses most of its efforts at this time. Those “special transformers” mentioned above are the little air-core “impedance converters” to which I referred a bit earlier. So there you have it: an amplifier with no output transformers in the traditional sense. 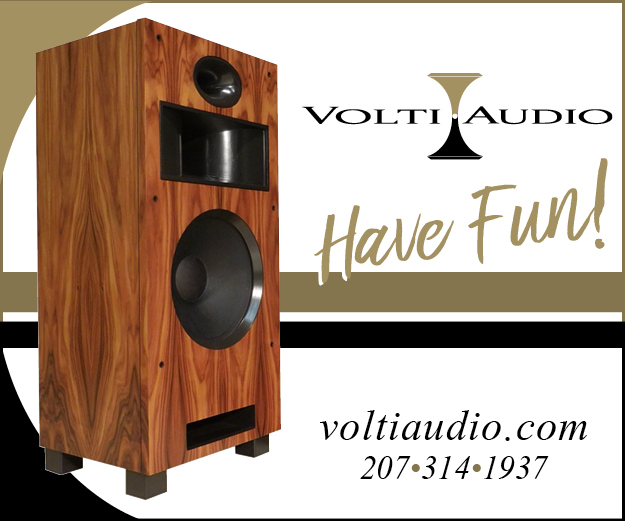 As a result, ZOTL amps are a lot lighter in weight than their more traditional brethren, provide markedly lower amounts of audible distortion, and supposedly boast longer vacuum tube lifetimes, as in 10 to 20 years. 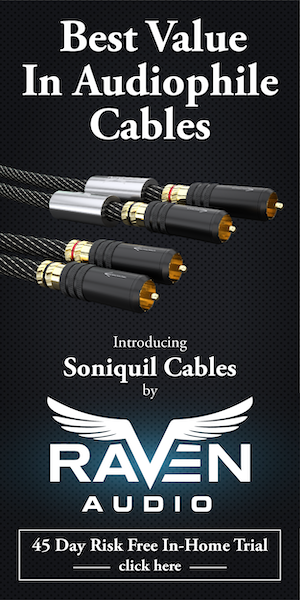 I laugh, as most nervous audiophile types won’t keep a piece of gear anywhere near that long! So… What does it look like, and what does it do? Ah, so here are the particulars. The LTA ZOTL 10 Mk.II is a nifty little push-pull, class AB power amp that puts out 10 watts per channel into standard eight-ohm loads. Its gain stages consist of a tube complement incorporating two 12AT7, two 12AU7, and four EL84 vacuum tubes. 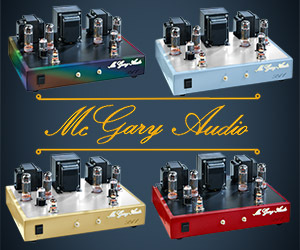 The amp in its stock form costs $3200. Doesn’t sound too remarkable on the surface does it? 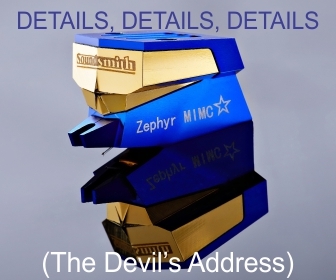 Let’s not forget, however, that much of the real magic of the design comes from the ZOTL technology; it’s the special sauce that makes this amp different and lends it the unique sonic characteristics for which I think its ilk will ultimately become known. OK, so at 10 watts per channel, the ZOTL 10 Mk.II isn’t going to drive every speaker out there, nor should we expect such a thing. In my own audio journey, I’ve been discovering that a lot of power isn’t always the secret to obtaining excellent sound. In fact, I’ve become something of a “low power” sort of guy (is there medication for that?). I’ve come to find that when driving the right pair of speakers, typically those that have an easy impedance curve and reasonable sensitivity, and mindfully keeping the volume at sane levels, there are things that lower powered amps accomplish that bigger ones just can’t. I’m talking about things like microdynamic touch, delineation of complex tonal texture, and just plain finesse. Small amps are fast and lithe like dancers, as opposed to the proverbial bull in a china shop. The LTA ZOTL 10 Mk.II is definitely an amplifier that defines all that is right about lower-powered designs. And they’re in good company…. think of good 300B SET amps or Nelson Pass’ solid state First Watt designs. If you have heard any of these as part of a well-matched system, you’ll know exactly what I mean. Setting up and using the ZOTL 10 Mk.II was a breeze. 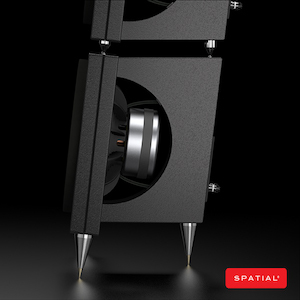 It has an external power supply whose umbilical must be attached to the main body of the amp, which looks like a simple box with a brushed aluminum faceplate. On the front is a blue LED that specifies power on/off, as well as a simple Alps volume attenuator, which thankfully can be bypassed if one chooses to use a separate preamp, as I did. The attenuator, however, is a nice feature that allows the amp to be driven directly with a high output source component. As I had my own LTA MicroZOTL 2.0 on hand to use as a preamp, I stuck with the bypass mode, which is accessible via its own set of RCA inputs on the rear panel. Also on the back panel are two pairs of sturdy plastic binding posts for attachment of the speaker cables of your choice. I successfully used both spade and banana connections with no problems whatsoever. 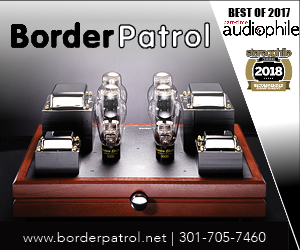 The digital source used for my evaluation was the superb Border Patrol SE DAC, which was in turn fed via my Mac Mini server or a Wolf Audio Cub server, each of which fed digits into my Sound Devices USBPre2 audio interface, which served as a USB to S/PDIF digital converter. 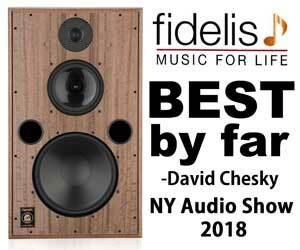 I got to play with a series of interesting speakers during this review, including the 94.5 dB efficient Omega Super Alnico Monitors ($2295), 89 dB Fritz Speakers Carbon 7 SE monitors ($2500), and finally the 97 dB efficient floor-standing Zu Audio Omen Dirty Weekenders ($999). The ZOTL 10 Mk.II had no trouble driving any of these speakers at the reasonable levels at which I tend to listen, and each pair of speakers gave a different but rewarding performance when mated to the LTA amp. 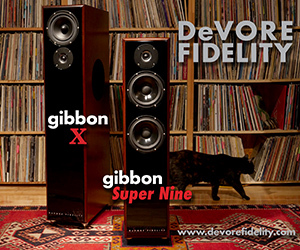 For best performance from the amp, I’d suggest not experimenting much below 89 dB efficiency with your speakers; in fact, as a rule of thumb, I’d even go so far as keeping the efficiency above 90 dB. There are a couple of things that struck me immediately as soon as I turned on the LTA ZOTL 10 Mk.II amp for the first time: it’s physically quiet as all get-out, and it sounded great right out of the box. To the first point: I tried turning the volume up all the way on my MicroZOTL 2.0 preamp with no source material playing, and I couldn’t hear anything coming out of the Omega speakers… and I mean nothing! Come on now, something must be amiss, as there ought to be some tube rush, or hum, or something…. Right? Wrong! This is one quiet amplifier. To my second point, the amp sounded great from the very first minute playing music, and if it got better with time, it wasn’t a noticeably large change. I just plain enjoyed it from start to finish during its tenure here with me. For some reason, I opted to start my evaluation of the ZOTL 10 Mk.II using the Omega Super Alnico Monitor (SAM) speakers. I think I’d read over at the Omega AudioCircle forum that some listeners were already experiencing near nirvana with this pairing. My initial listening impressions were indeed quite positive, as it was this combination that really got me thinking about the “ECM sound.” As the SAMs sport a single hemp driver per cabinet, the sound is fast, detailed, and immediate when compared to similarly priced multi-driver boxes. Even though the alnico magnets that move the drivers are supposed to add some natural warmth and texture, I have found that these speakers can sometimes sound a bit forward in the upper midrange and ever so slightly clinical. A bit texturally thin, if you will. Bass is lightning fast, but not quite as fulsome as in some other, more conventional designs. What all of this means is that the Omega SAM can be an excellent speaker, but it needs just the right amp to balance it out tonally. For example, the SAMs played really nice with the Audio Research VT80SE stereo amp I had in for review not too long ago, as well as with several other amps I have around the house. If it sounds like I’m getting ready to deep-six the LTA/Omega combination, that’s not going to happen. It must have been pretty good actually, as I kept it in place for about a month, listening daily, and sometimes for hours on end, before I had any real incentive to change the speakers out to keep the review moving forward. If something sounds right, then I want to come home and turn the stereo on, and that’s exactly what was happening. The sound of this combination was not at all tubey in the traditional sense, but rather fast, lean, and well articulated. Notes were incisive, but with a nice sense of decay without unwelcome overhang. I felt the the overall sense of PRaT (that’s Pace, Rhythm, and Timing) I was getting was due to both the amp and speakers working together in a positive and complementary way. Perhaps the strongest point of this combo was its ability to dig deep and retrieve massive amounts of inner detail in the music. I attribute this character to the inherently low noise floor of the amp amp itself coupled with the low-level resolving capabilities of the speakers. I also appreciated the fact that the ZOTL 10 Mk.II and the Omega SAMs sounded great together at the lower volumes at which I like to listen. In fact, I’d say that the sound actually hardened up and lost some of its magic as I attempted to push the volume upwards beyond a normally moderate level. OK, then, so head-bangers need not apply, but late-night soft jazz aficionados might just have found their nectar from the gods right here. Before you ask (because I know you will…), this setup also did the spatial thing really, really well. The Omega SAMs can and will “disappear” in the soundstage, and I felt that the LTA amp in no way hindered them from doing so. The soundstage itself was both wide and deep, though these characteristics didn’t necessarily jump out at me as they do with some speaker/amp combinations that intentionally and unnaturally emphasize such things as attention getters only. Rather, I found that I needed to get myself into a relaxed, almost Zen-like listening mode, close my eyes, and let it happen. When it did happen, I was rewarded with finely detailed layering of instrumentation from front to back, as well as a soundscape that extended easily beyond the width of the speakers while still preserving a solid center image. If I were to offer up any sort of longer-term quibbles about the setup, it would be the following. First, with the ZOTL 10 Mk.II driving the Omega SAMs, I sometimes noticed that slight sense of tonal “dryness” in the upper mids, and not only on ECM recordings! My other slight quibble would be some perceived leanness and lack of bass extension which seemed to be the trade-off for the exceptionally fast response in that frequency region to which I alluded earlier. Alright then, how does it sound with the other speakers? I feared you’d never ask…. Next up for speakers was my pair of Fritz Speakers Carbon 7 stand-mounted monitors. I keep this pair around because of its pleasantly warm, texturally engaging sound. Thinking that the LTA amp may fall a bit on the harmonically threadbare side of the spectrum, I felt that the Carbon 7s might be a nice match, and indeed they were. 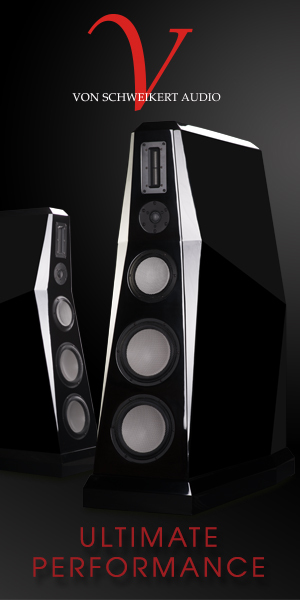 All the best attributes of this fine pair of speakers were on parade, leading to a highly engaging listening experience. Funny, but now I’m starting to think of the ZOTL 10 Mk.II as something of a sonic chameleon; if I had heard it initially driving the Fritzes, I wouldn’t have thought it at all lean sounding. In short, it seems that this fine amp is transparent enough to let the true character of whatever speaker it is driving shine through in its full glory. When we get right down to it, isn’t that what a perfect amplifier is supposed to do? I can’t say I’d call the presentation offered up by this duo exactly lush, but it’s most definitely tonally fleshed out. A lot of folks prefer some meaty tone to their tunes, and I’ve now been shown that the ZOTL 10 Mk.II is perfectly capable of providing it when coupled to the right pair of speakers. So maybe the Fritz speakers give up a bit of speed and transient attack compared to the Omegas, but lots of detail was still on hand, served up by the scoopful. So far, my evaluations seem to indicate that those listeners who value detail and resolution in their musical playback will be quite pleased with this LTA amplifier offering. Oh, and I was hearing some really satisfying bass presence as well: deep and rounded, but never flabby or overdone. As I have been digging so deeply into the ECM catalog via Tidal, it’s hard to choose just one (or two, or five…) good examples to use to describe the sound of the system as I have it presently set up. Right now I’m listening to pianist Tord Gustavsen’s trio on the album “What Was Said” (ECM, streamed via Tidal), augmented by the hauntingly lovely voice of Simin Tander. This is a contemplative and quiet album, with lots of silence between the notes, which I really “hear” due to the vanishingly low noise floor of the ZOTL 10 Mk.II. There’s a harmonic correctness to Ms. Tander’s voice, as well as to the piano and percussion that grabs me and draws me in emotionally. The system also does a superlative job of embracing me in the ethereal spaciousness of this recording, which sort of flows over the listener like a billowing cloud of sonic goodness. The ZOTL 10 Mk.II driving these Fritz Carbon 7 speakers could very well be an emotional endpoint for my own listening satisfaction if I were to choose to quit right here. Of course, I won’t, but I hope that my impressions give an idea of the level of personal satisfaction I’m getting from this near-perfect matching of audio components, and reasonably priced ones at that. The final set of speakers to evaluate with the LTA amp are my fave Zu Audio Omen Dirty Weekend floor-standers, which I think represent one of the best real-world audio values available today. Like the Fritz Carbon 7s, the Omens have some natural warmth in the midrange that I expected to shine through when driven by the LTA amplifier. The other big advantage of the Zu speakers is that they like to be driven hard, playing loudly with no sense of distortion or distress. In this sense, they complement the Omega SAMs nicely. Indeed, when the Zu Omens were driven by the ZOTL 10 Mk.II, I heard that same sort of luscious midrange and fulsome, textured bass that I got with the Fritz Carbon 7s. The Zus also conveyed a larger sense of scale and slam, as would be expected from their larger physical size and 10-inch drivers. So yes, the ZOTL 10 Mk.II can get up and boogie under the correct circumstances- no wilting blossom is it! 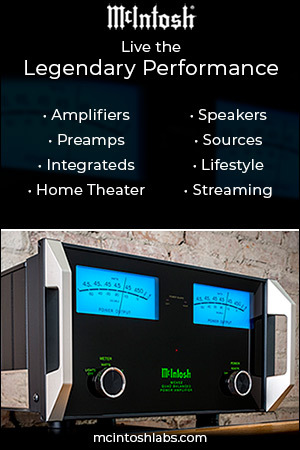 This amplifier is just straight up refined and honest; it just can’t (and won’t) editorialize, and that’s a very good thing. I’m hearing some of the very best sound out of these Zu Omens that I have managed to get yet, and yes, I’ve gotten some great sounds out of these speakers since I have owned them. The resolution and low-level detail retrieval are stunning; I’ve never before considered these characteristics to be the stronger points of the $999 Omens. Listening in on Polish trumpet master Tomasz Stanko’s album “Lontano” (ECM, streamed via Tidal) provided an intimate, up-front view of an excellent jazz ensemble hard at work. The plucked bass was warm, round, and yet authoritative while Stanko’s trumpet had that nice, mellow, but definitely metallic shading. Closing my eyes and dialing myself into the soundstage wrought wonders: a fine sense of layering, starting out in front of the speakers and extending well behind them. Oh, and I’m soaking up gobs of fine detail in the form of fleeting aural cues I’ve rarely ever grabbed onto in my listening sessions. It just struck me as funny that I’d waxed poetic about the wonderful bass and midrange the ZOTL 10 Mk.II is capable of reproducing, but I hadn’t mentioned treble at all. I suppose this oversight is due to the totally natural highs (ha, ha…) I’ve been enjoying… There really isn’t much to say other than it’s just right! No nasties here… And that holds for all three different speakers I’ve auditioned the amp with. While I had the Zu Audio Omen Dirty Weekend speakers set up, I was eager to find out how the LTA amplifier might hold up against some comparably priced “regulars” I have on hand here in the Lizard Lounge (that’s what my kids call my cave…). These comps are the First Watt F7 solid state amplifier ($3000), which puts out 20 watts per channel, and the Dennis Had Inspire High Output Single Ended vacuum tube amplifier. 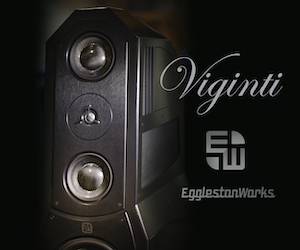 This latter amp costs about $2400 and delivers somewhere between 10 and 20 watts per channel. It’s more of a traditional tube amp in that it sports a pair of output transformers. Both of these amps were fed signal directly from my LTA MicroZOTL 2.0 serving as a preamp. With the First Watt F7 up to bat, I heard a lovely, even-handed tonality in both the piano and trumpet on Tomasz Stanko’s “Lontano.” If anything, there was a sense of midrange fullness or romance that might have been a bit more reticent with the LTA amp. However, I felt that the ZOTL 10 Mk.II did a more thorough job of conveying the complexities of tone in both the piano and trumpet; specifically, the upper registers of the trumpet sounded “brassier” with more metallic overtones than the F7 could muster. Likewise, I sensed a bit more air and extension around the ride cymbal with the LTA amp running the show. Moreover, the F7 seemed to integrate the instruments in the soundstage, whereas the ZOTL 10 Mk.II tended to place each instrument more precisely within the overall soundscape. Both amplifiers produced a highly satisfying and realistic, if somewhat different, rendering of this lovely music. I have truly enjoyed and appreciated my time with Linear Tube Audio’s ZOTL 10 Mk.II amplifier. While it’s not exactly the “classic” sounding vacuum tube amplifier in many respects, it does seem to preserve those things that tubes do really well (think open, unfettered sound with highly natural harmonics) while minimizing their perceived shortcomings. 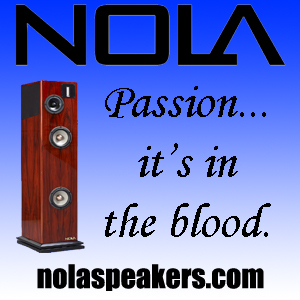 This amplifier earns my accolades for its stunning sense of clarity, transparency, and precise spaciousness of sound. 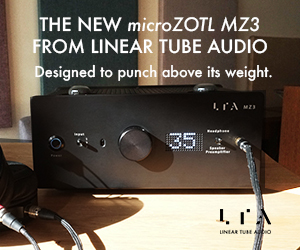 In all senses, it seems to me to be an honest extension of my reference LTA MicroZOTL 2.0 preamplifier; if you own and enjoy that particular piece of gear, I can almost guarantee that you’ll fall equally in love with the ZOTL 10 Mk.II amp. I know I have. I wanted to conclude by re-thinking the congruence of sound and intention of both LTA and the ECM record label that I mentioned earlier. It seems to me that the powers that be standing behind both of these entities value the same ultimate goal: to reproduce live music in the most natural and honest way possible using the most progressive technology at hand. I’d say that both have achieved this goal admirably. I connected my Border Patrol SE DAC directly to my ZOTL. 10 Mk.II, using the built in volume control. I preferred the sound which seemed richer and more open than when I had the MZ2 in the chain. I’m driving Tekton Impact Monitors. My source is Tidal on a MacBook Air. My MZ2 is now the centerpiece of a separate headphone system with Tidal, a Metrum Mussette DAC and ZMF Eikon headphones.